Drink UP&GO™ for the right type of energy! 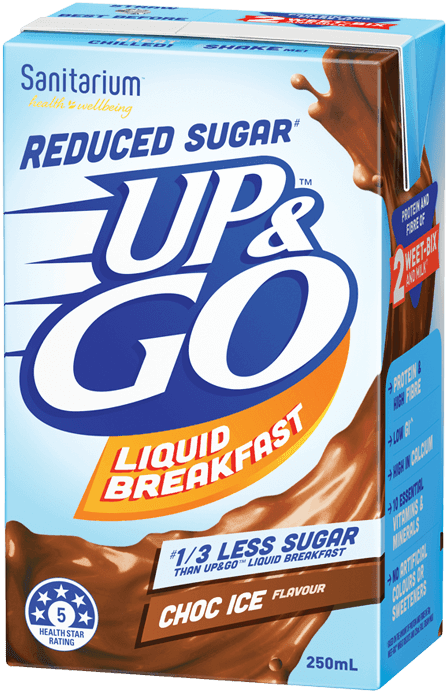 UP&GO™ Reduced Sugar# offers a nutritious start to the day with 1/3 less sugar#, low GI^, protein and fibre. 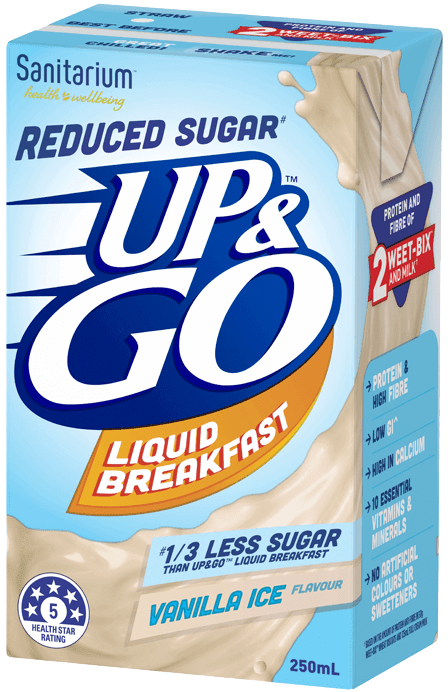 # 1/3 Less sugar than original UP&GO™ Vanilla Ice. The HSR of a product is based on a calculation that considers the amount of energy, saturated fat,sugars, sodium, protein and fibre in a food, along with the fruit, vegetable, nut and legume content. 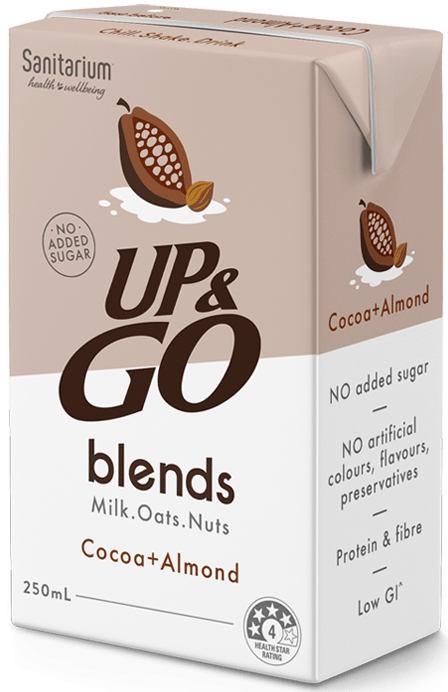 Filtered water, skim milk powder, maltodextrin (wheat, corn), soy protein, cane sugar, vegetable fibre, vegetable oils (sunflower, canola), flavours, oat flour, acidity regulator (332), mineral (calcium), vegetable gums (460, 466, 407), stabiliser (452), salt, vitamins (C, niacin, A, B12, B6, B2, B1, folate). 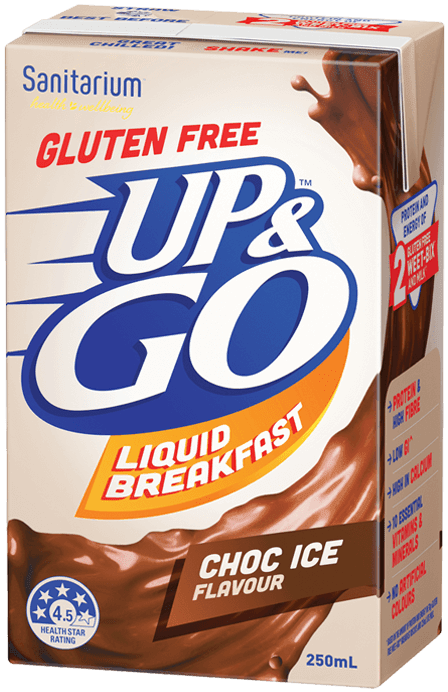 Contains milk, soy and cereals containing gluten.